This post is primarily a test, though we should probably have an Undertale forum. These are Ink Sans and Error Sans toys assembled and photographed by Blue Rainfall, a primarily digital artist in the U.K. The design isn't original; it's based on a YouTube tutorial. Error Sans is a character that Moono liked. He (the character) is available as a MT skin. I haven't checked yet to see if there's a MT skin for Ink Sans as well. The photograph is believed to be redistributable. Ink Sans is the embodiment of a healthy community that seeks to create and explore alternate universes. The context is Undertale; more about that another time. Error Sans is a brother or alternate self to Ink Sans who seeks to destroy universes that are different and that don't conform to his vision. This is Paper Jam by 7goodangel. The artwork was posted on the Undertale AU Wiki. 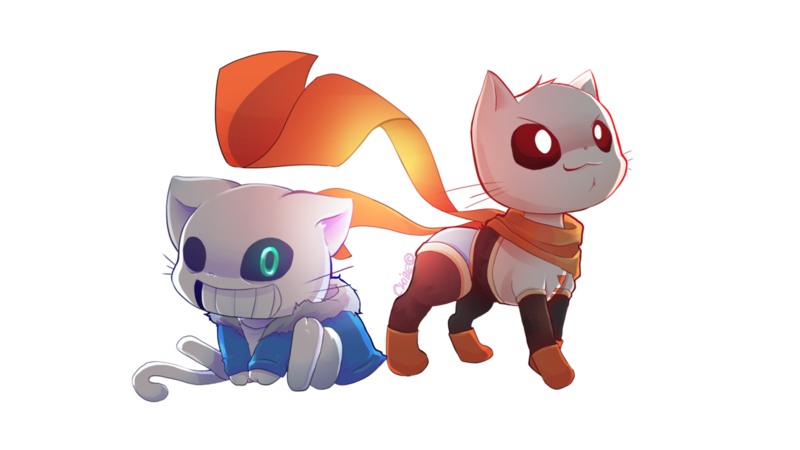 Update: The artwork was uploaded to the Undertale AU Wiki by somebody other than 7goodangel. So, it may not be redistributable. 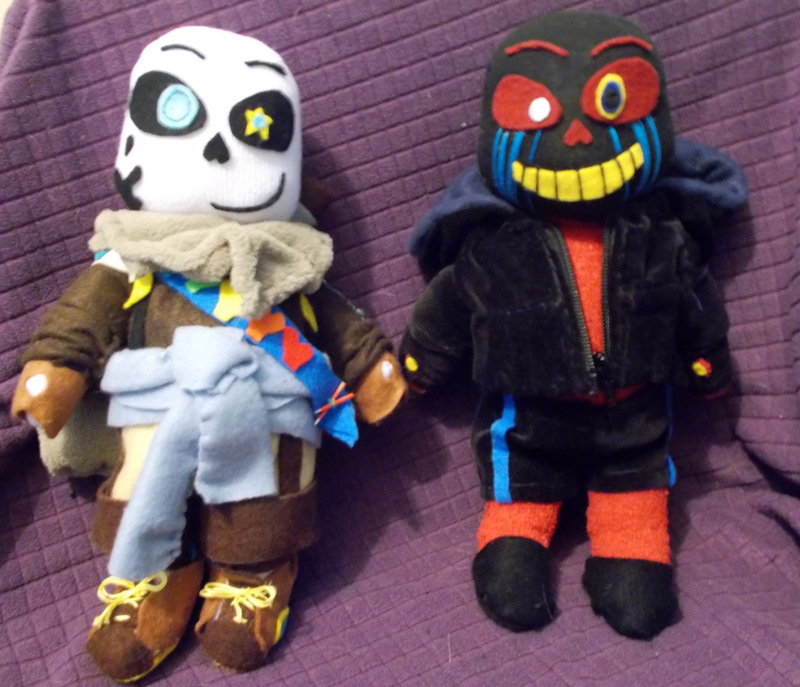 One writer states: "Paper Jam is the child of the Ink!Sans and Error!Sans ship. 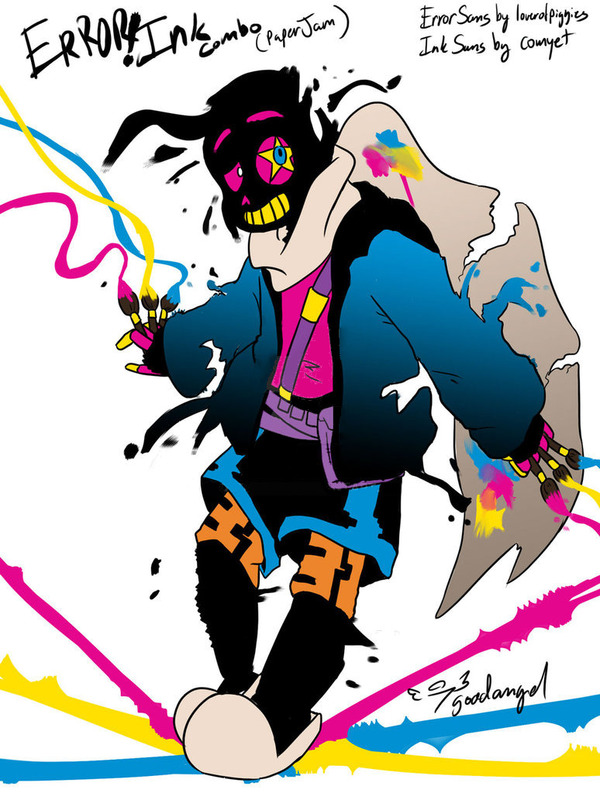 His left eye has a yellow star and most of the time, he is seen with a paint splattered scarf." I haven't learned what a "ship" is, in this context, but other sources suggest that Paper Jam is the son of Ink Sans and Error Sans and/or an embodiment of the two characters in one. The latter mode would be confusing as Ink Sans seeks to preserve universes and Error Sans wishes to destroy them.